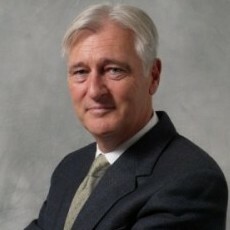 Francis McInerney is Managing Director of North River Ventures. He is a limited partner in London-based GMT Communications Equity Partners Fund II and III, Europe’s only telecom and media specialist fund, and is a member of GMT’s Industry Council. Francis is part of the general partner of Denver-based Centennial Ventures Funds VI and VII that specialize in early-stage telecom and media investing. The limited partners he brought into Centennial Ventures include: NBC, NTT Communications, NTT DoCoMo, Harris, GE Capital, Bell Canada, Nortel Networks, Alcatel-Lucent, 3Com, Crown Castle, Sony, and C2HM-Hill. In 1976, Francis McInerney co-founded Northern Business Information, a telecommunications industry market research company. In 1988, after building NBI into the largest firm in its market worldwide, McGraw-Hill Inc. made an unsolicited offer to buy the company. Francis also wrote the template for the 2000-2006 restructuring of 350,000 employee Panasonic, the largest corporate restructuring in history. Francis was born in the United Kingdom in 1950 and is also a citizen of Canada and the United States. He spent his teenage years in Paris, speaks French, and studied economics at the University of Toronto. He has been quoted widely in the global media, including The Wall Street Journal, Forbes, Fortune, and The Financial Times. He has written four books on the impact of falling information costs on business organizations.